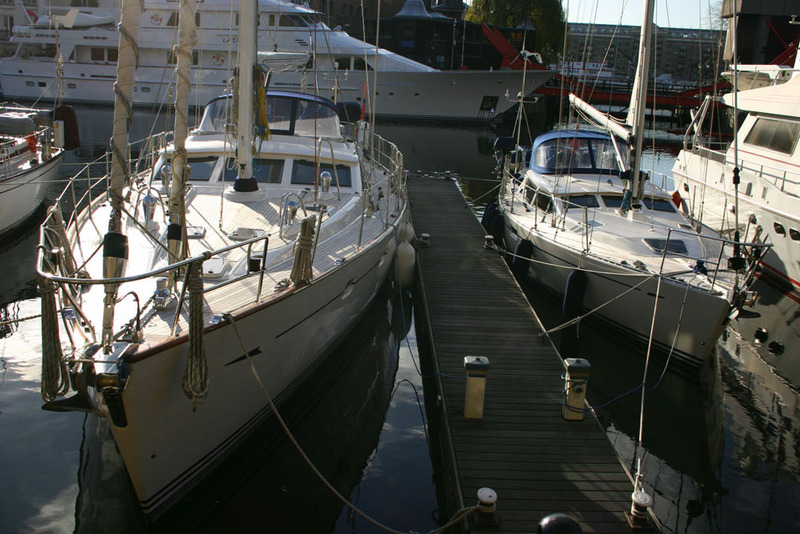 Whittall davits provide permanent stowage for the Avon Rover 280 tender and Suzuki 4hp, 4-stroke outboard. 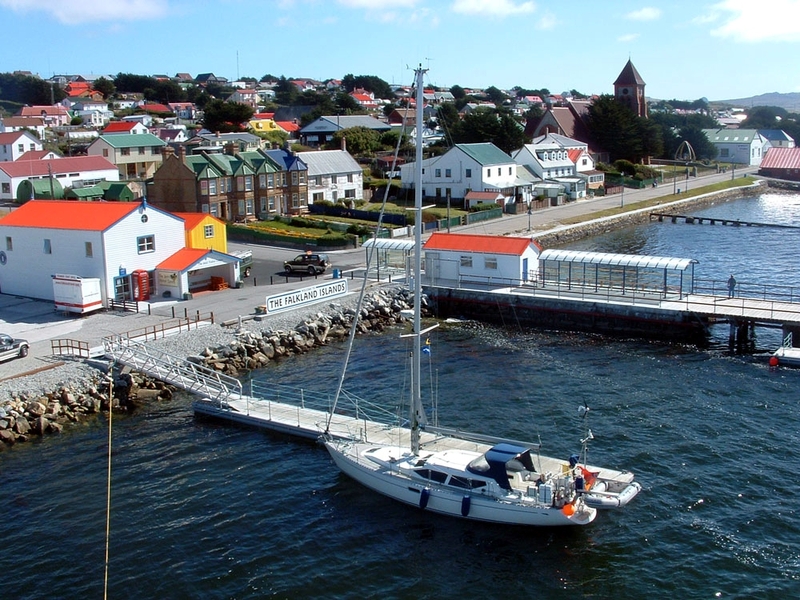 The davits are immensely strong and we have no concerns over leaving the tender in place, even in gale force winds. This saves an enormous amount of stowage either in the lazarette or below decks. It also allows the tender to be deployed very quickly. This was a particularly valuable asset when rowing out shore lines under adverse conditions in the Chilean channels. 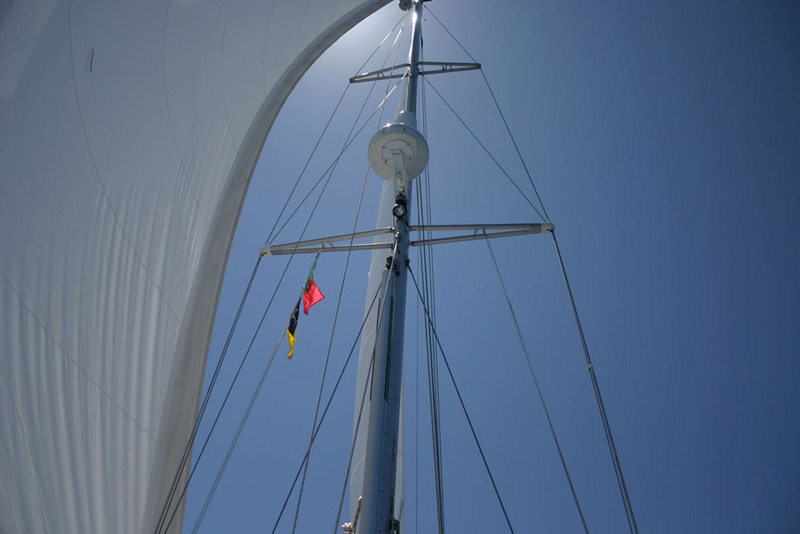 Our storm jib is hanked onto a detachable inner forestay, which can be located out of the way near the starboard shrouds when not in use. The stay attaches to the mast close enough to the top that we can dispense with running back stays, which makes for easy handling. Our Spectra watermaker is capable of making forty litres of fresh water per hour and operates very economically from a 12V supply. 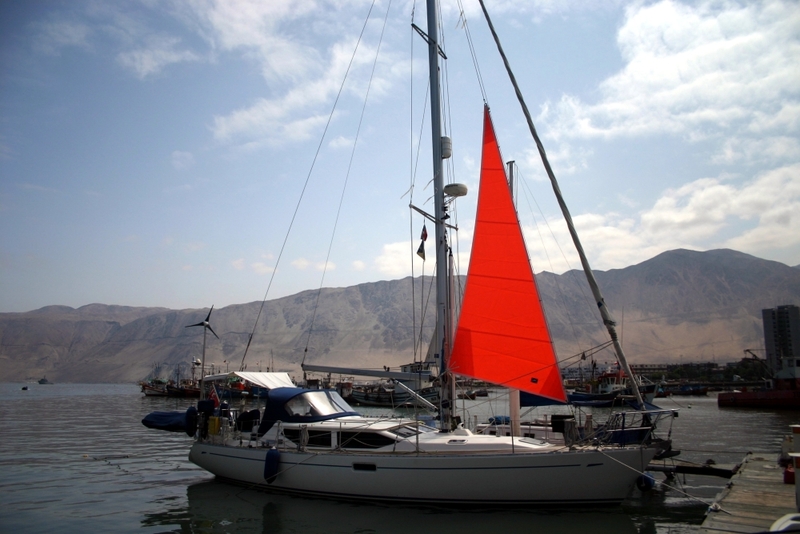 We have an asymmetric spinnaker, complete with snuffer for ease of furling. 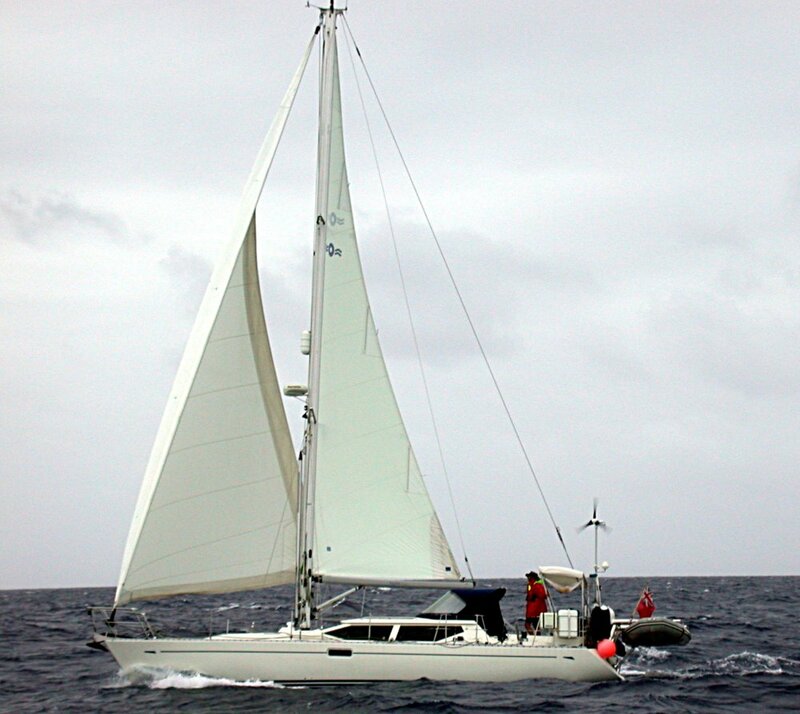 This can be flown either from the stemhead or with a spinnaker pole. 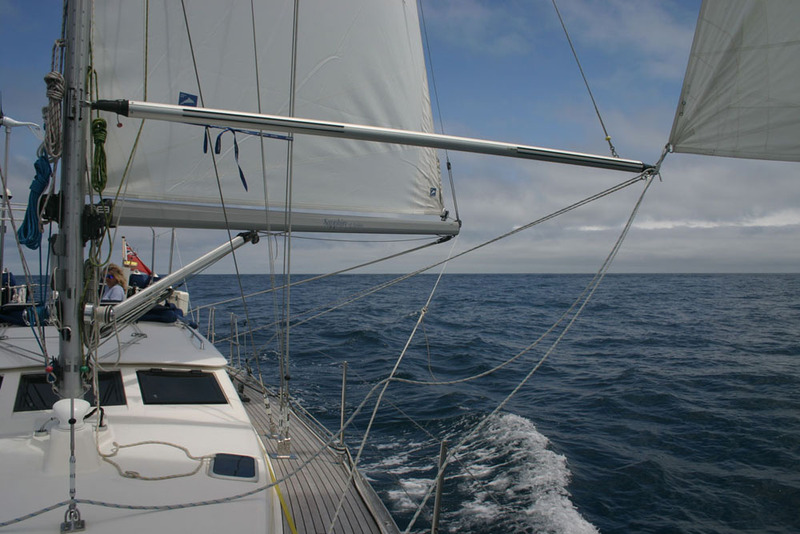 When sailing downwind in the Trades, there is often not enough apparent wind for a wind generator to produce much current. 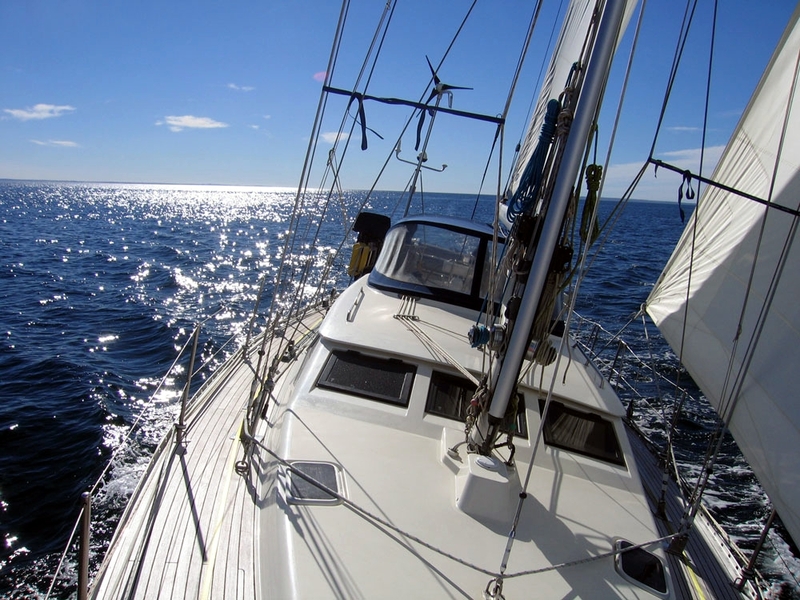 In these conditions, our Aquair 100 towed generator comes into its own, turning out a consistent seven amps or so when sailing at hull speed. 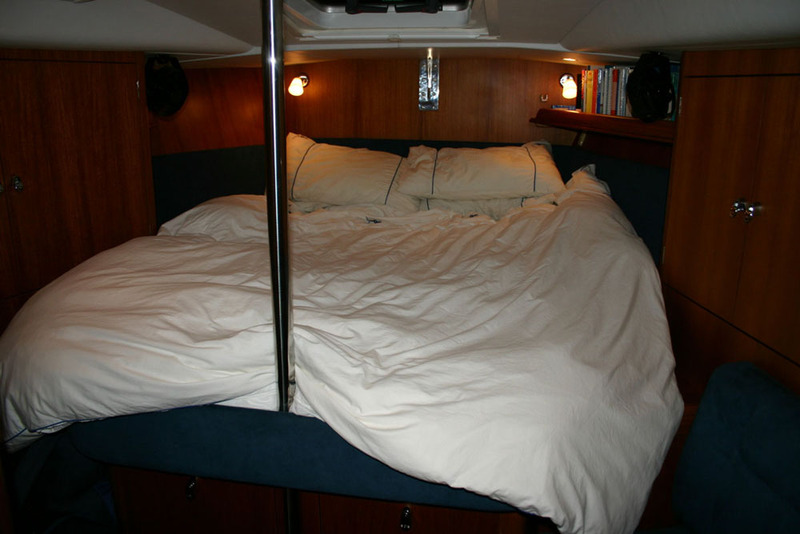 Designing a bimini for an Oyster 42 is not easy, because the mainsheet is located forward of the wheel and gets in the way. Nevertheless, we had one custom made and could not imagine life without it in the tropics. Our microwave oven was a welcome convenience when in port. It also saved us a lot of gas and could be used at sea, so long as the engine was running. Holding tanks are extremely expensive to retro-fit to a boat, so we are glad we specified ours in advance. More and more countries are insisting on them and this trend can only continue. Furling mainsails do have their detractors and we thought long and hard before specifying one. 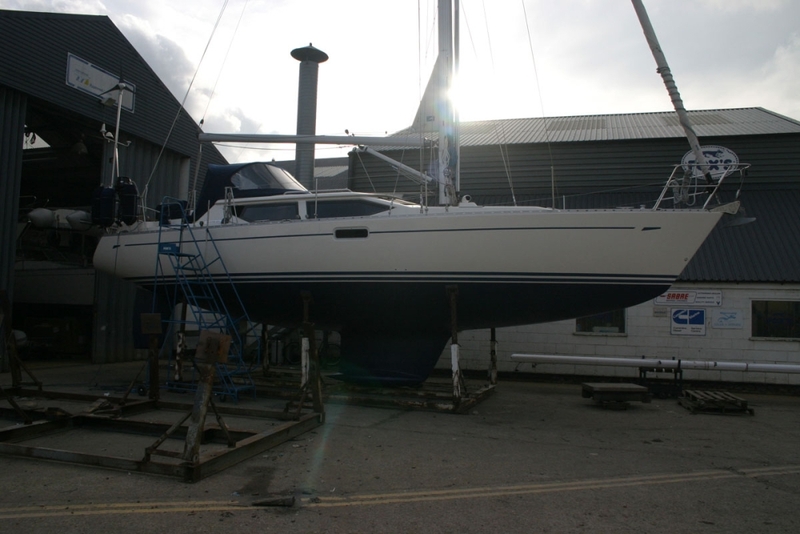 However, apart from the convenience, they have the great advantage that they can be reefed incrementally - down to trysail proportions if desired - and we have been very happy with ours. 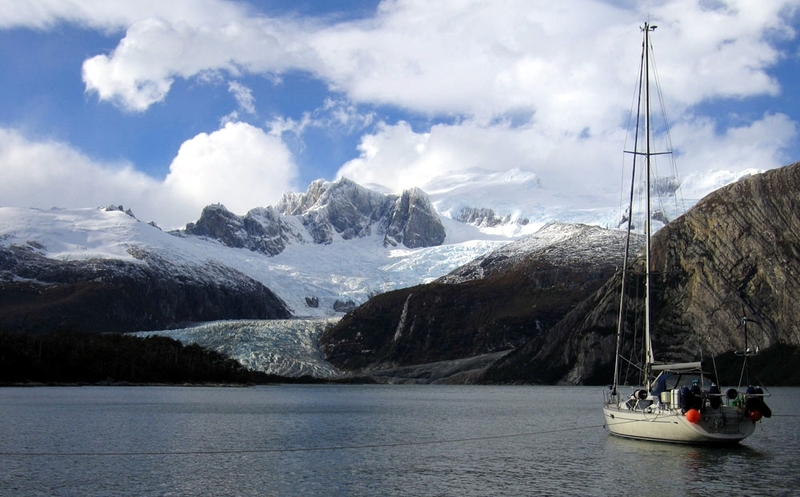 The photograph shows Sapphire approaching Cape Horn with a reef in the mainsail. Sapphire was commissioned in Ipswich during 2002. 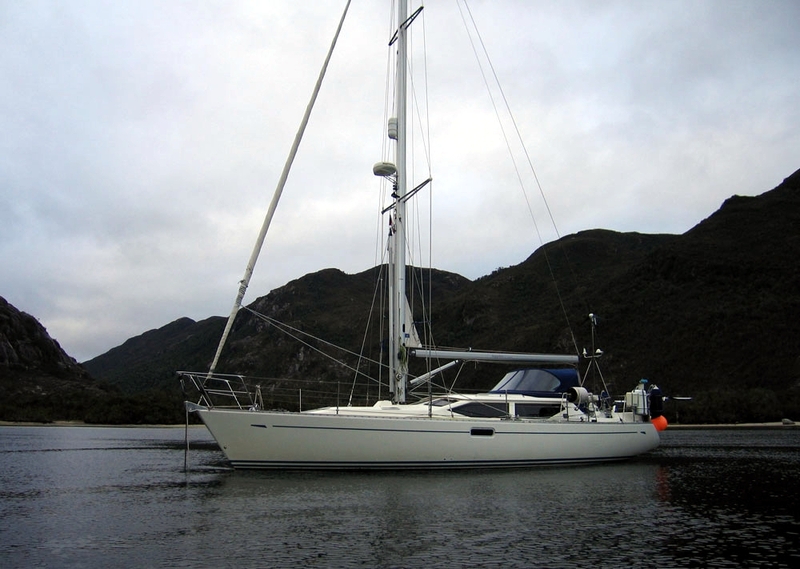 She is the seventh and last Oyster 42 of the series. 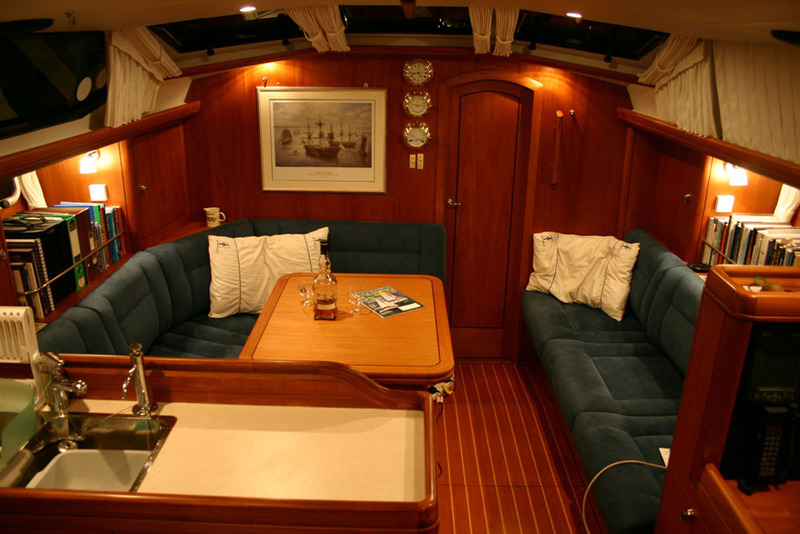 Sapphire has two cabins and is finished in teak. 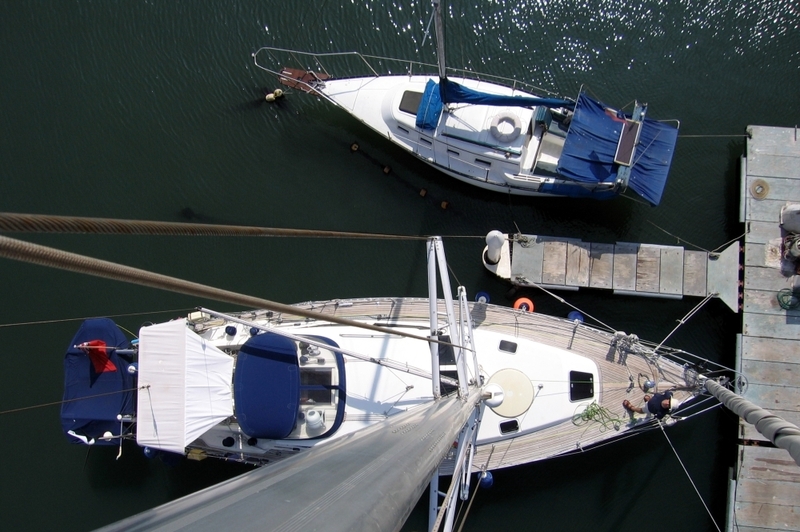 Looking down at Sapphire from the top of the mast in Iquique. Sapphire's interior is finished in teak. 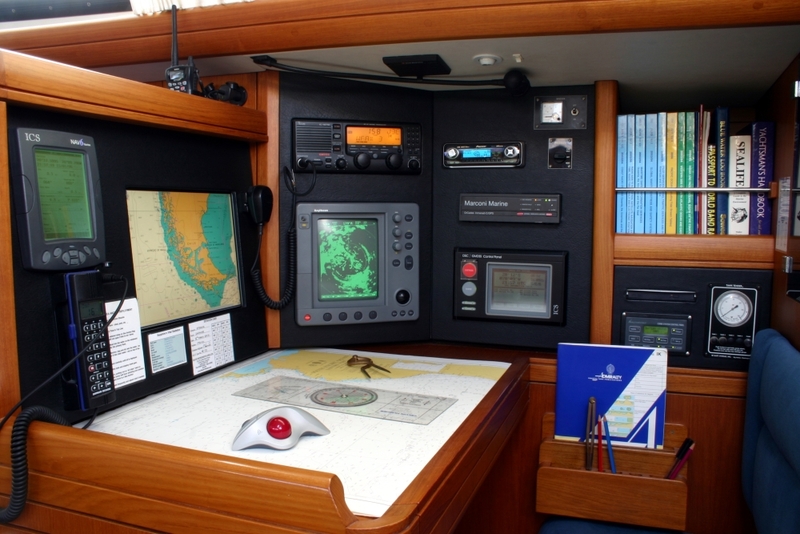 Our cabin is forward but at sea we use the aft cabin - one of us is always on watch. Dressed overall in celebration of the 50th birthday of the OCC Caleta Beaulieu in Seno Pia. Possibly the ultimate anchorage view. Sailing closehauled. 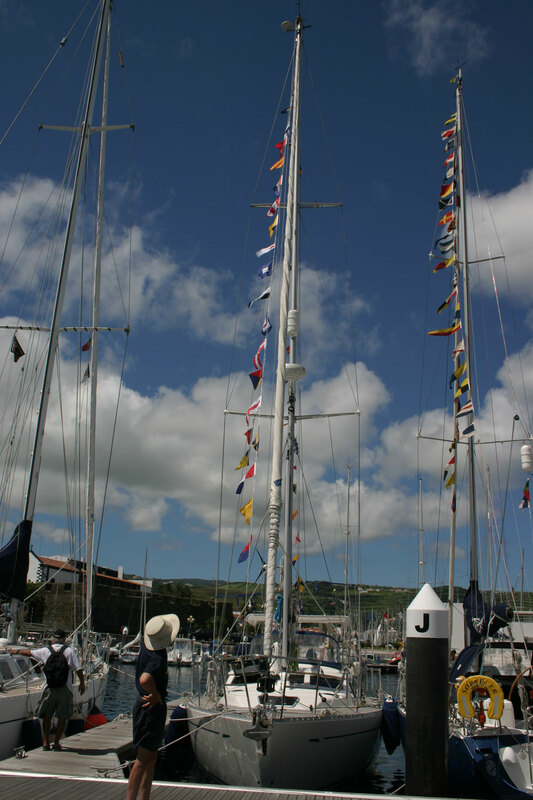 At St Kaths we moored next to the Oyster 66, Star of Acabar En route to the Azores it was great to sail downwind at last!